Arminia Bielefeld dropped points for the first time this season after being held to a 1-1 draw by fellow promotion candidates Union Berlin. Jeff Saibene's side slipped to third as a result, following wins over Sandhausen and Duisburg for Düsseldorf and Darmstadt respectively. Nuremberg's unbeaten start came to a surprise end away to Aue. Ingolstadt picked up their first points of 2017/18 with a 1-0 victory at rock-bottom Fürth. Bochum also recorded their first win of the campaign, shading a five-goal thriller with hot and cold Dresden. 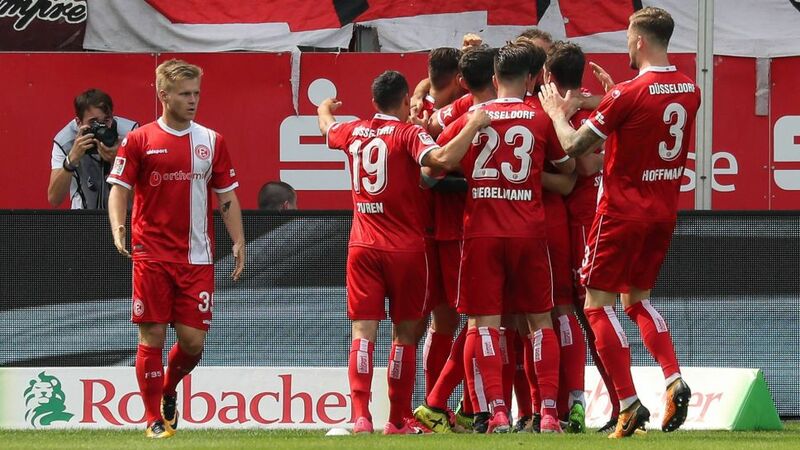 Kaiserslautern dropped into the automatic relegation zone, despite salvaging a point at home to Braunschweig, and remain winless all season. With a goal each on Matchday 4, Kiel's Marvin Ducksch and Nuremberg's Kevin Möhwald joined Regensburg's Jann George and Pauli's Christopher Buchtmann on three for the season.